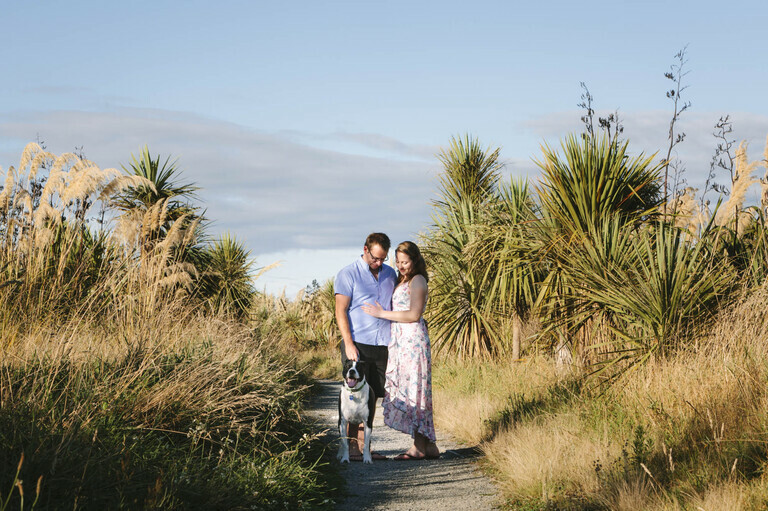 What a fun sunny afternoon and evening this was for a Kapiti Coast engagement session! 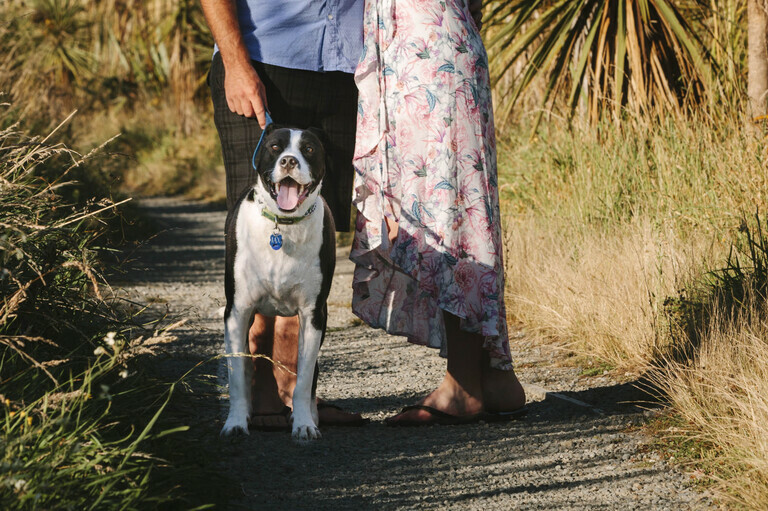 Meet this beautiful family, Daniel, Jennifer and their adorable dog Jax. Dogs provide so much joy, even if they end up eating one of dad’s jandals. Luckily for Daniel, Jennifer’s house wasn’t that far from the beach to go in bare feet. We continued the engagement shoot until the sun set and the moon came up! 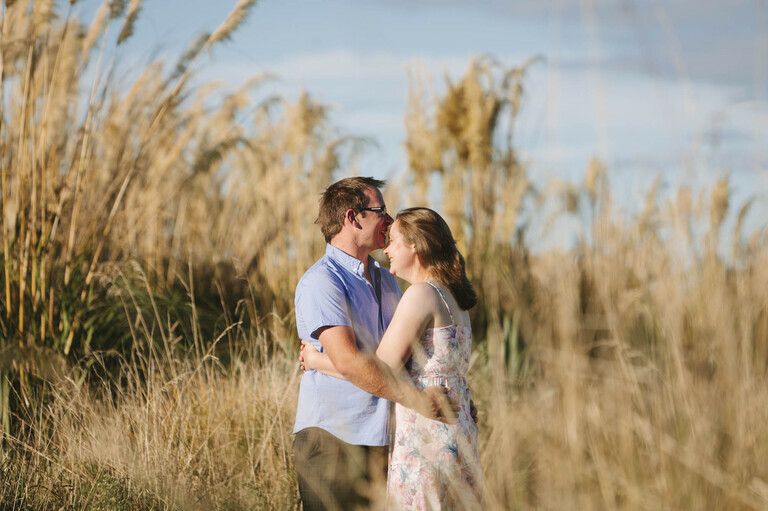 This lovely couple had their wedding at the Southward Car Museum, also on the Kapiti Coast. 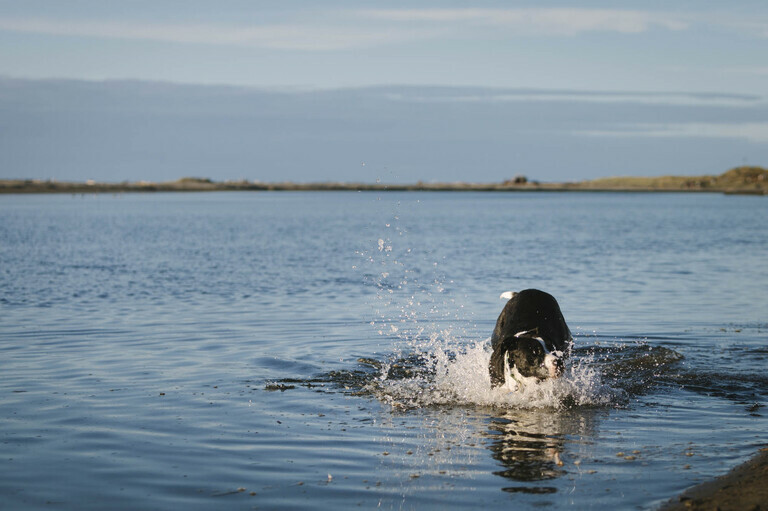 For a selection of images from other engagement photography sessions, you could take a look at my engagement shoot page, and my pet photography page has a few of more images of people with their beloved pets.